Usually the sounds that we hear in our environment are at safe levels that do not cause any damage to our hearing; however, prolonged exposure to very loud noises can damage our hair cells that can cause noise induced hearing loss. Hair cells are small sensory structures and sensitive structures that serve the purpose of converting sound energy into electrical signals that travel to the brain. NIHL can also be caused by a single exposure to an intensely loud sound such as explosion. Prolonged exposure to loud sounds increases the possibility twofold. Maintaining a safe distance from loud sounds is very important. Sound is measured in decibels. 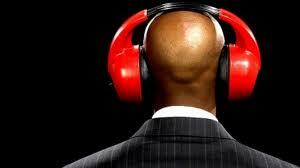 Noises that can potentially harm your hearing are of motorbikes, firealarms, firecrackers and explosions. These are in the range of 120-150 decibels. NIHL can also be caused to those playing in a band, attending rock concerts, exposure to loud sounds of lawnmowers, leaf blowers etc. Symptoms of NIHL increase gradually and may not become evident immediately. Over the period of time, the sounds a person hears become muffled. 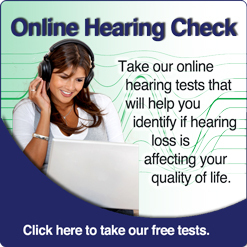 A person suffering from NIHL may remain unaware of the hearing loss until he goes for a hearing test. Everyone should be aware of the types of noises capable of damaging your hearing. You must wear earmuffs, earplugs or other protective devices while getting involved in an activity with loud noise. Educate your family and friends about NIHL. If you suspect that you or someone close to you is suffering from NIHL, consult an audiologist and get hearing test done.